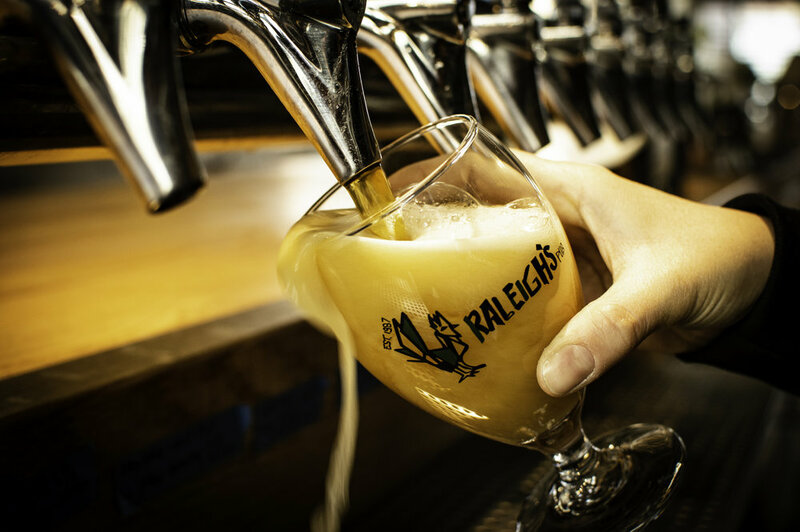 Established in 1987, Raleigh's has been home to thirsty undergrads and Berkeley natives for over 30 years. Located on the historic Telegraph Strip, Raleigh's is considered a staple amongst the ever-changing neighborhood it calls home. In 2011, a devastating fire disrupted that continuity, and for six years, people wondered if we'd ever be back. In the Summer of 2017, we re-opened our doors----this time, with a new look, but same spirit of the pub & grill so many had grown to know & love. With 36 craft beers on tap in the main bar, and another 24 taps on our sunny patio bar, we certainly have something for everyone! Our lunch & dinner menu offers traditional pub & grill food----designed to pair perfectly with any pint. If beer is not your thing, no worries! Just check out our wine & "crafty cocktail" menu! 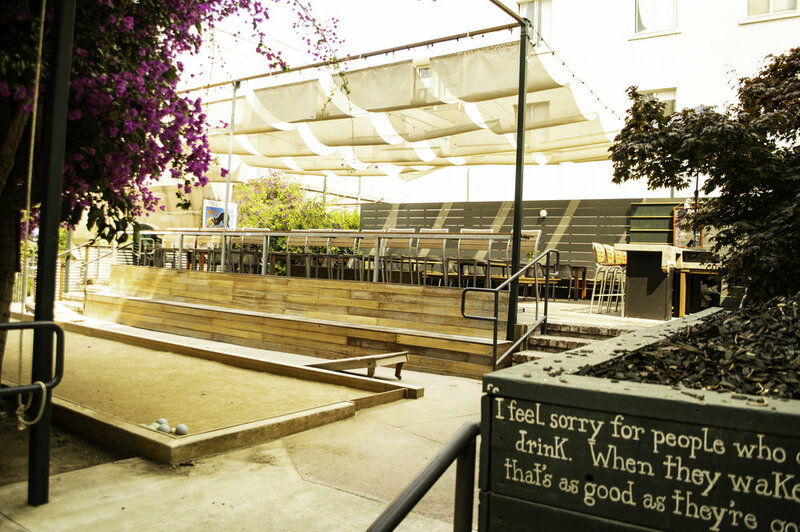 Raleigh's is your home to watch sports (Roll on you bears!) or just hang back and enjoy a cold one. Cheers! Raleigh's does not take reservations, but all walk-ins are welcome!